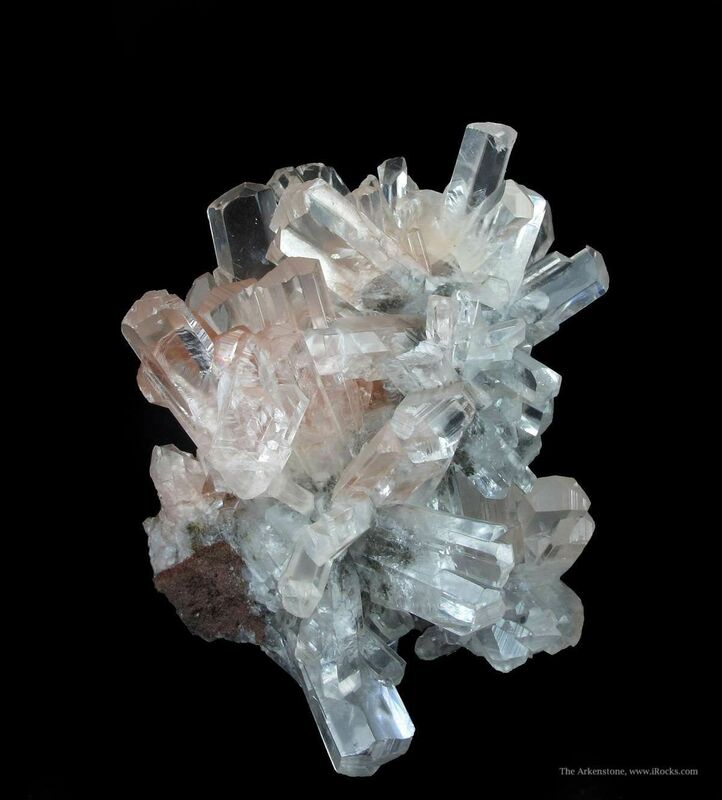 Notable and very three-dimensional, this spray of gemmy Calcites is really rather remarkable. 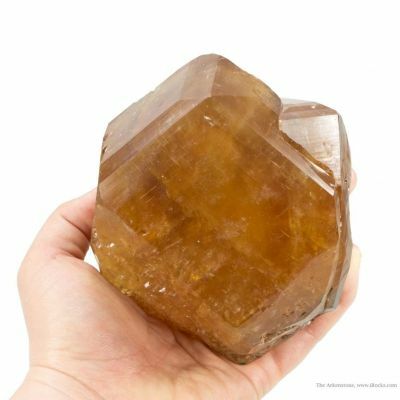 The hexagonal prisms are completely gemmy with great luster, and in cross section they range from equant to tabular. 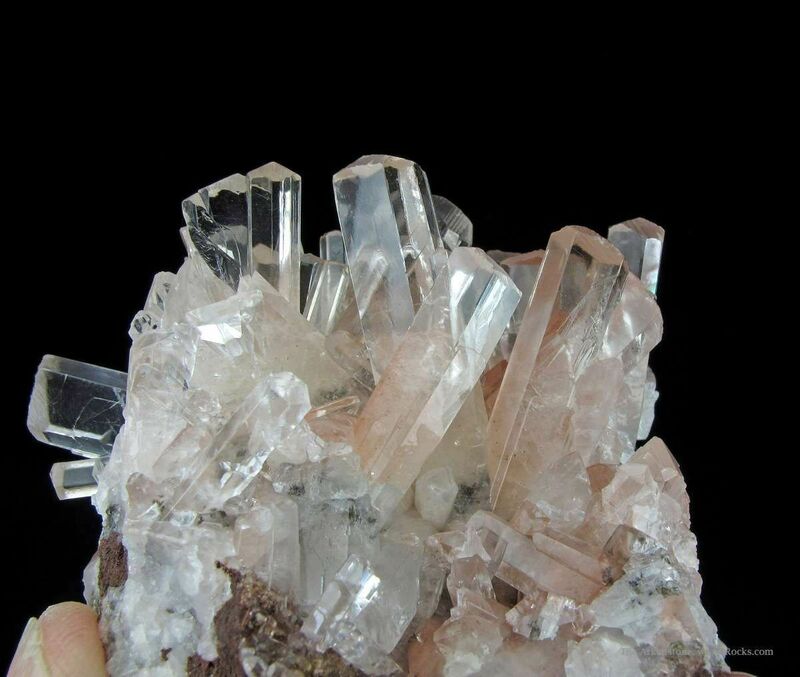 What is quite fascinating is that the faces of the terminations, and only the terminations, are striated. 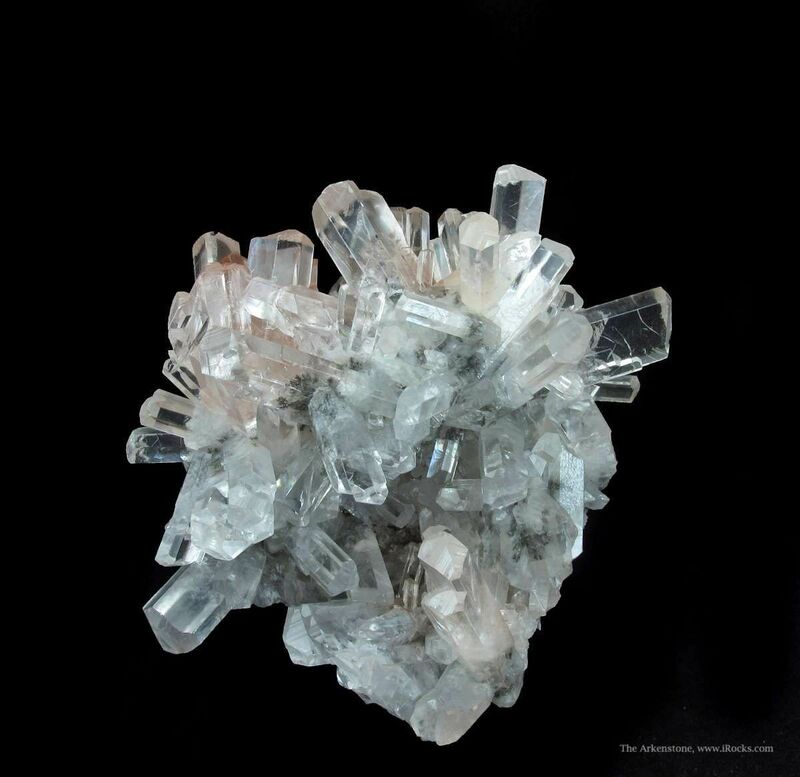 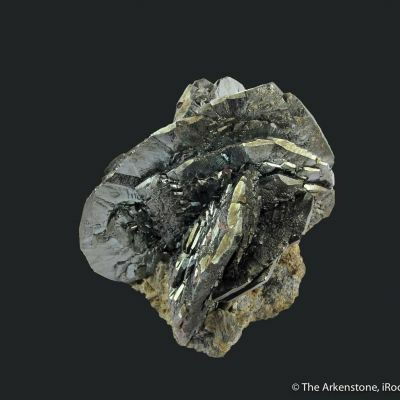 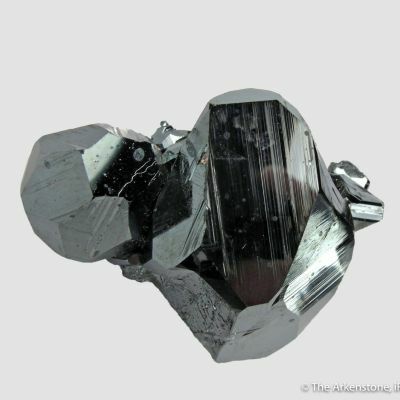 The Calcites are tinted with Hematite, which is a famous association for this location. 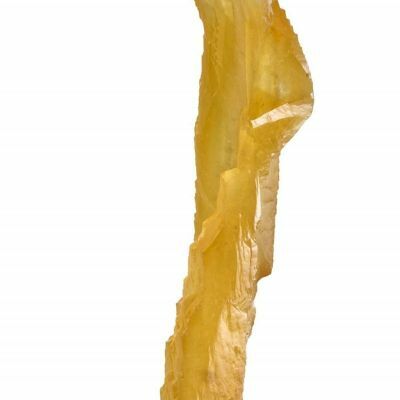 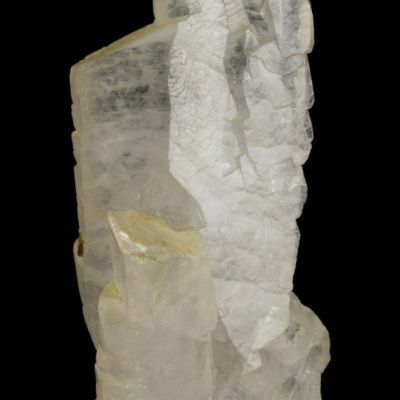 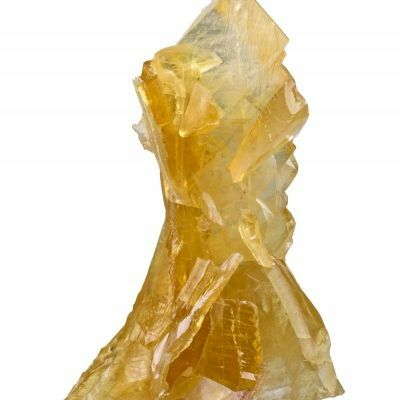 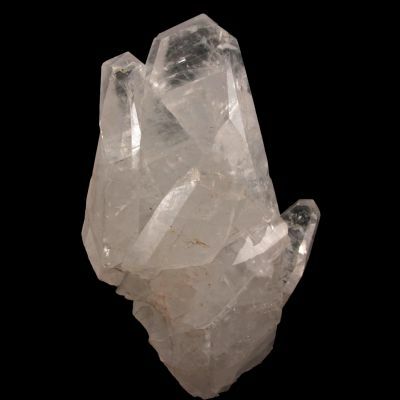 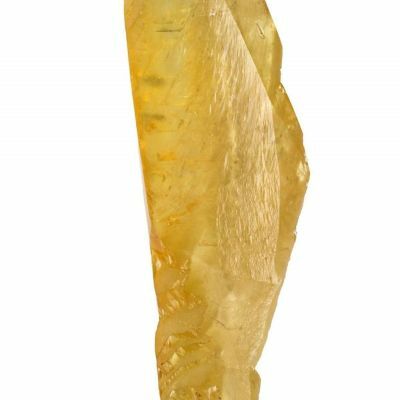 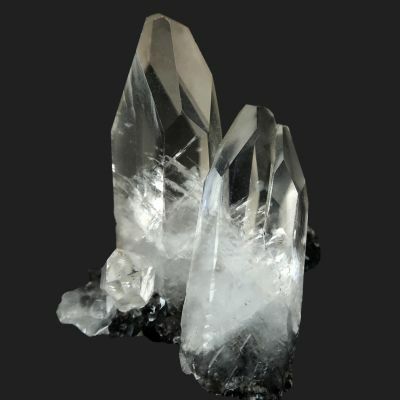 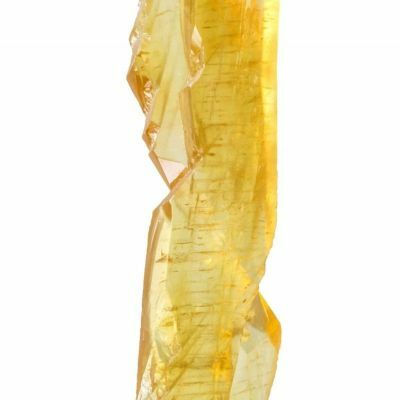 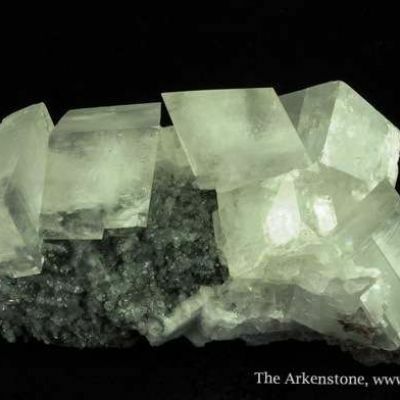 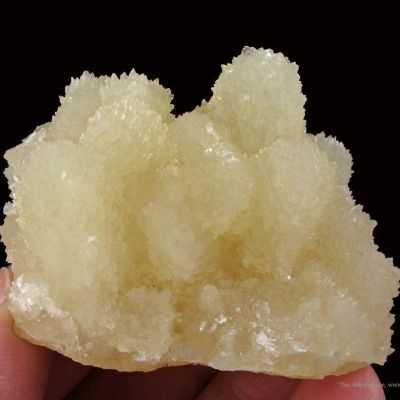 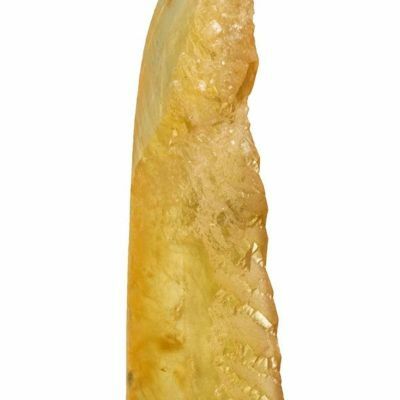 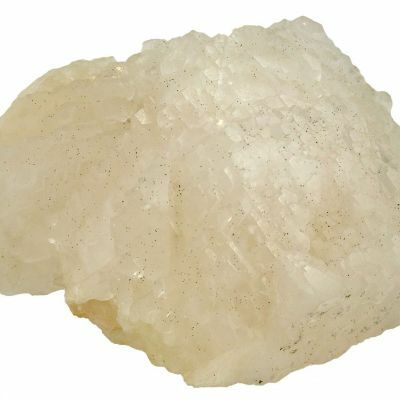 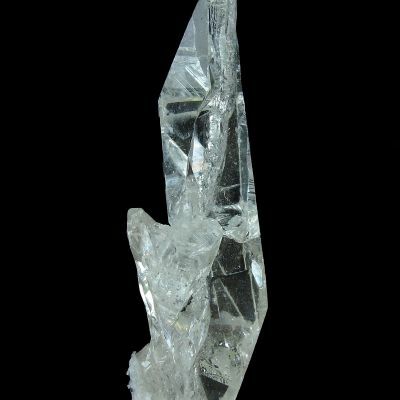 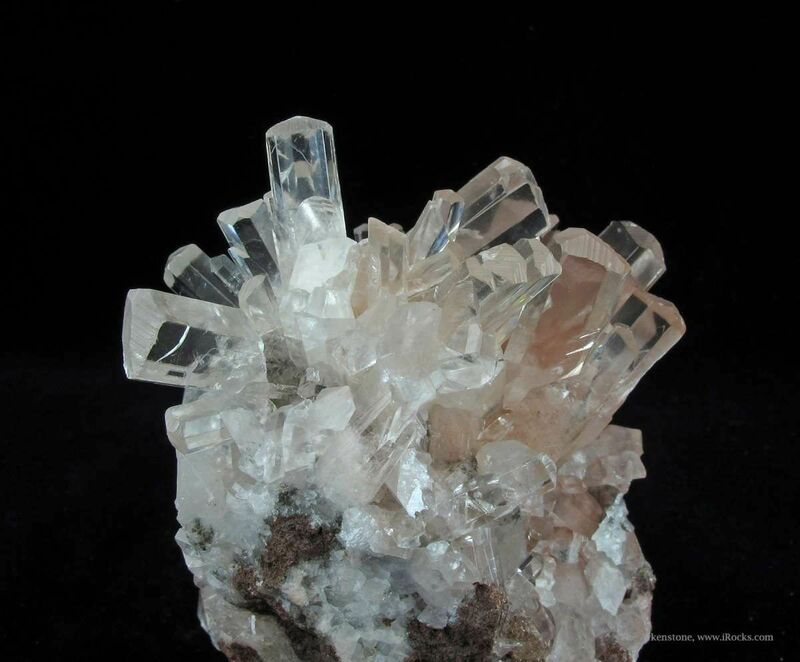 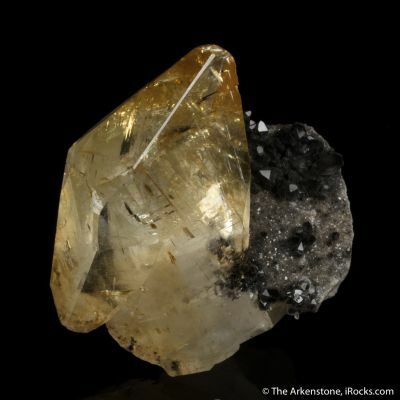 The longest Calcite is about 2.7 cm. 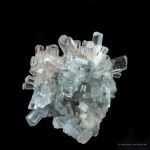 Normally, you see mostly scalenohedrons from here, so this this habit another quality aspect of this small cabinet specimen that makes it stand out. 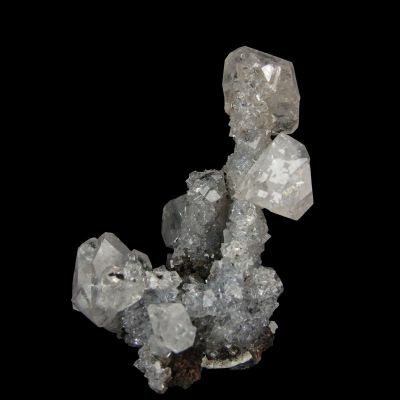 This old-timer likely dates back to 1900 or earlier and was obtained in the 1970s from the Birmingham (England) museum in trade. 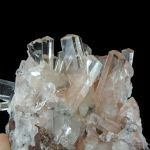 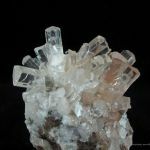 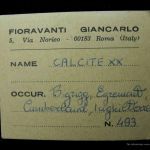 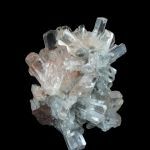 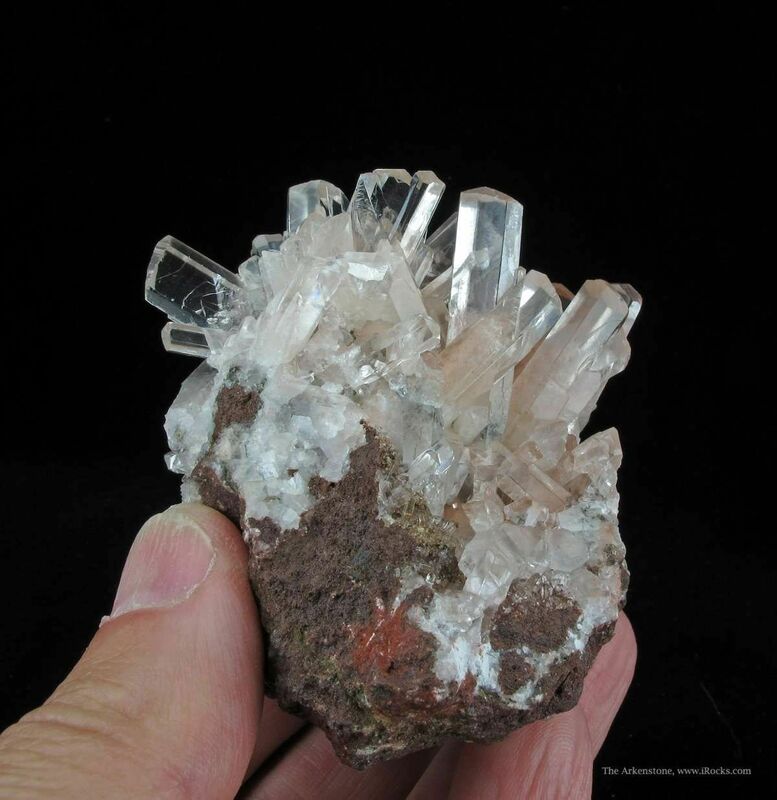 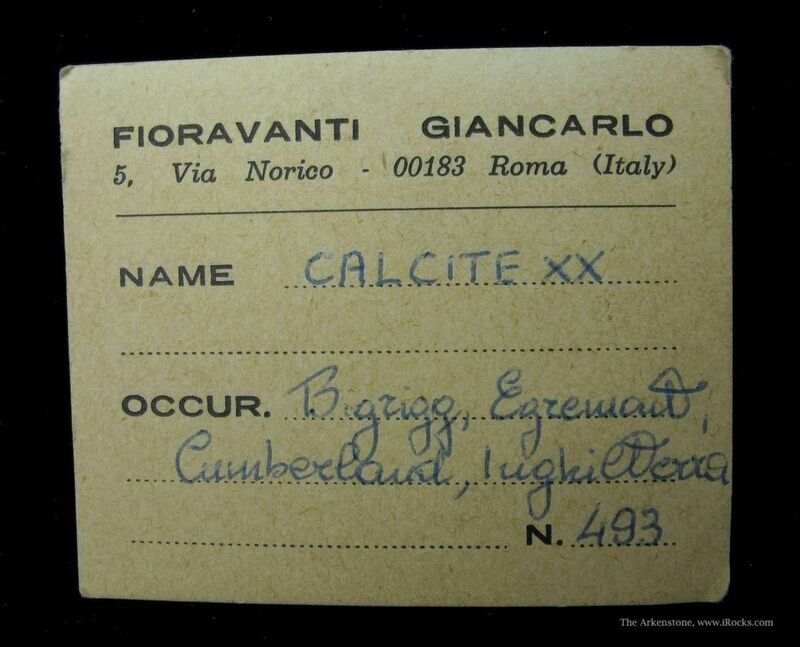 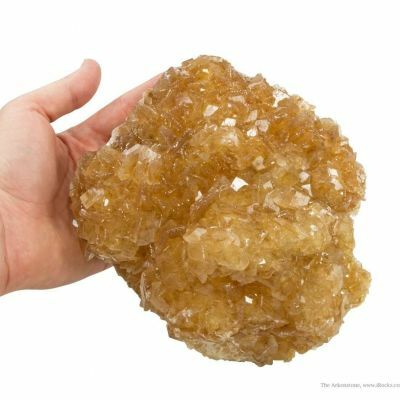 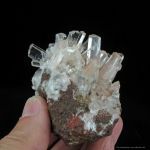 Calcite specimens from the famed and historic Bigrigg Mine of Cumbria are always much sought after. 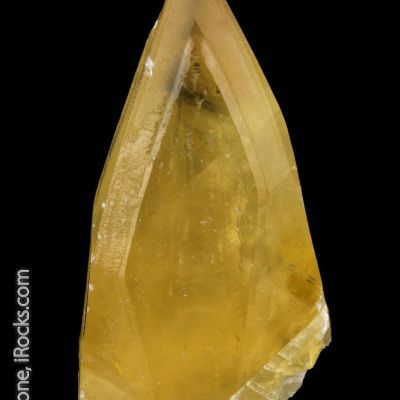 Much better even in person, due to the exceptional gemminess!